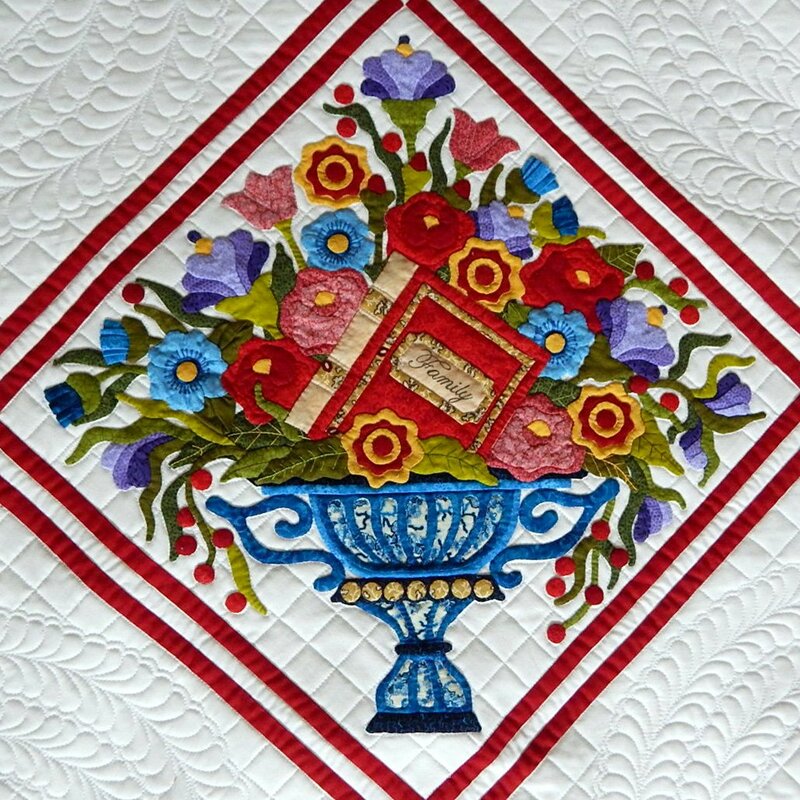 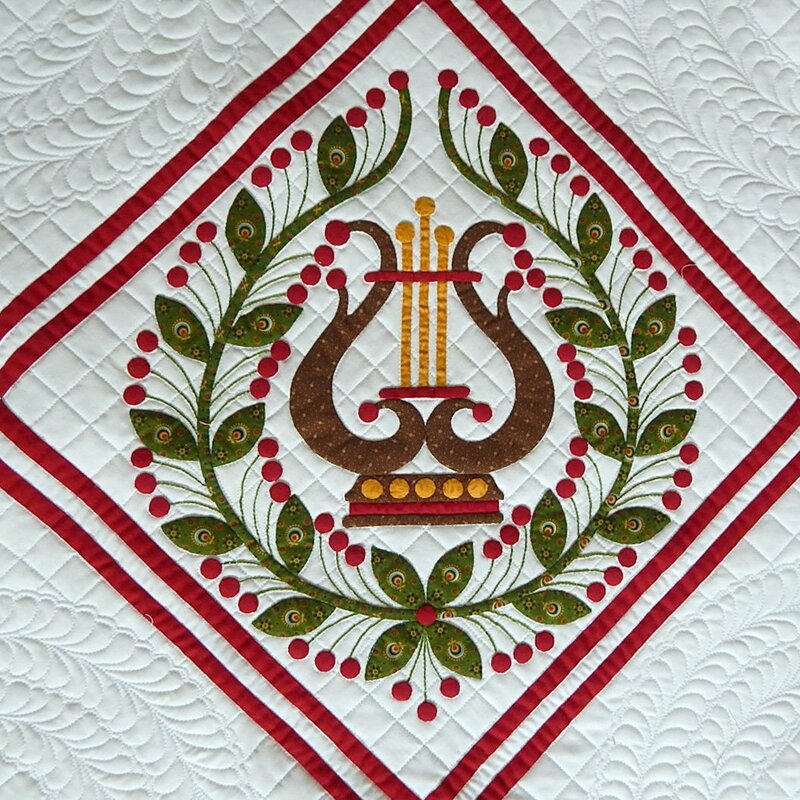 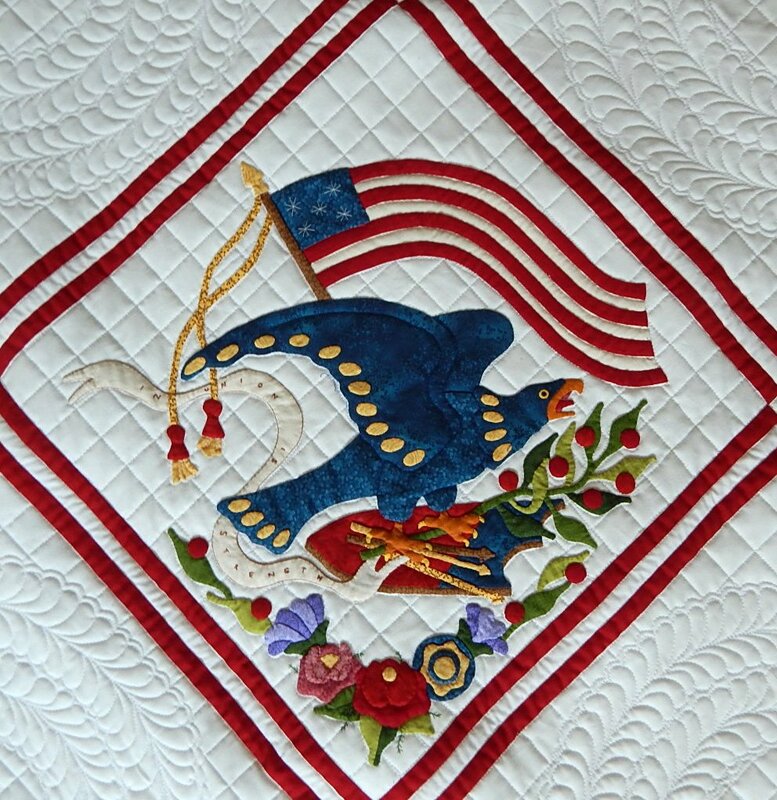 Baltimore Glory is a classic album quilt with nine blocks in an on-point layout. 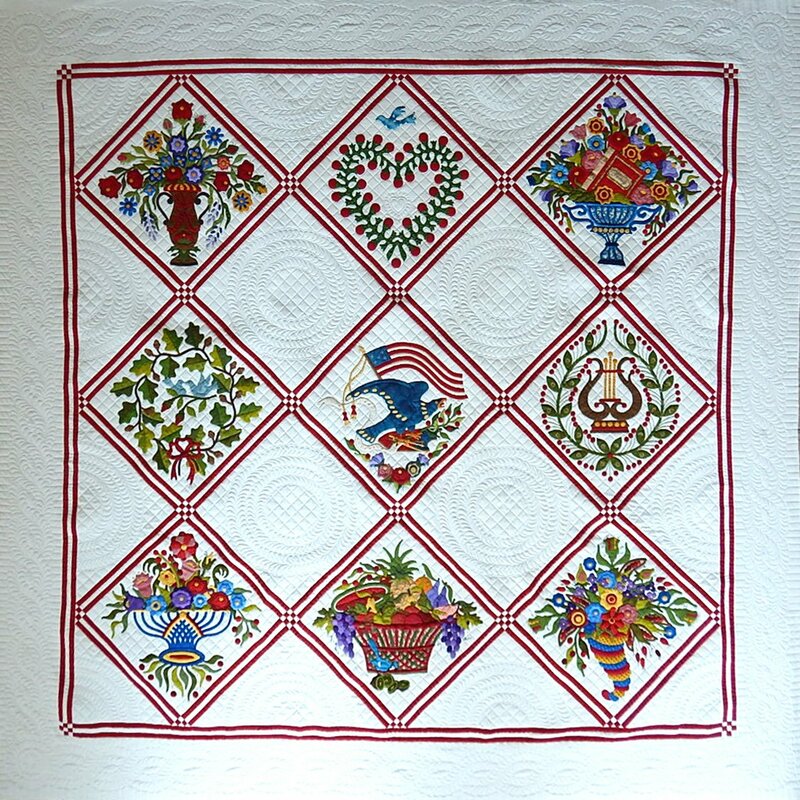 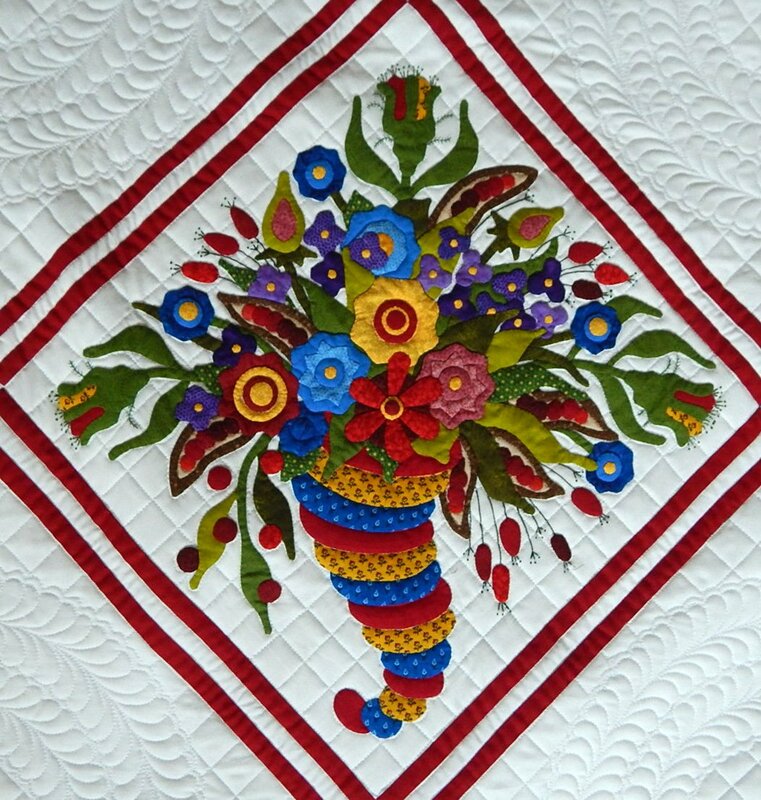 The quilt measures 87-1/2 inches square and includes ten patterns (nine for blocks and one for settings and assembly). 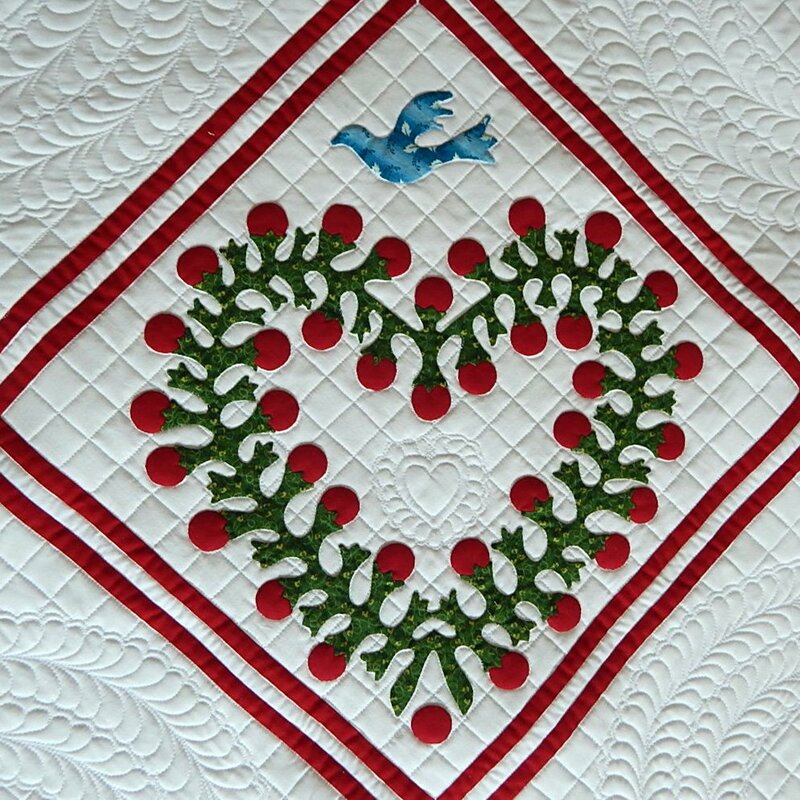 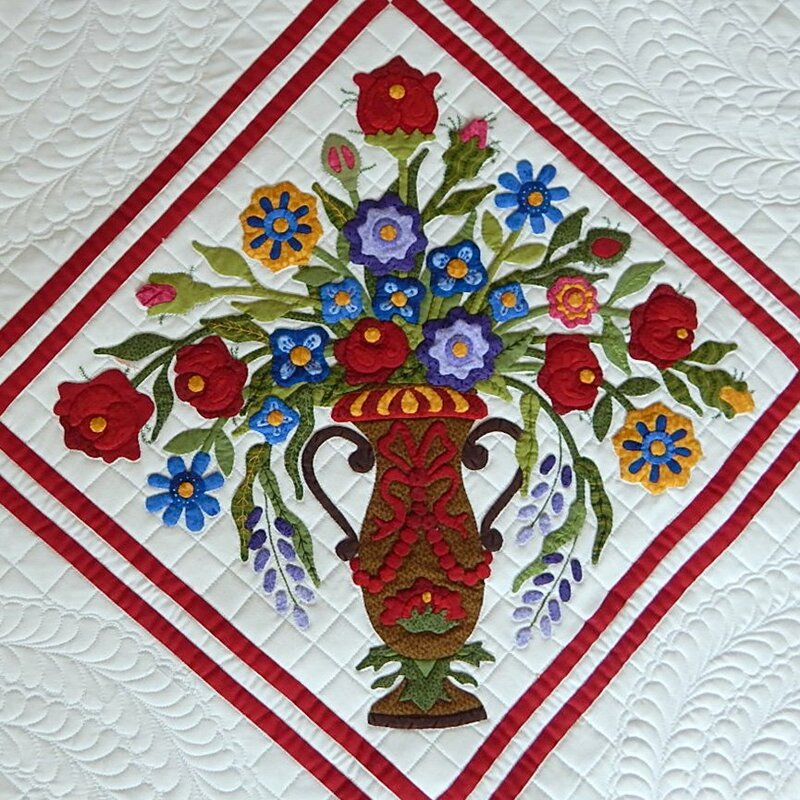 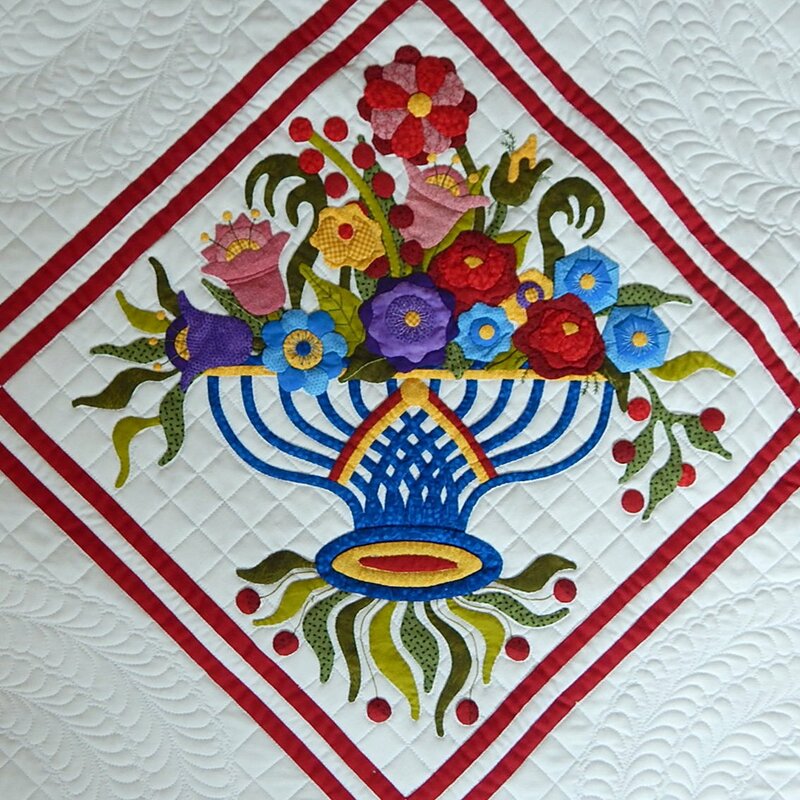 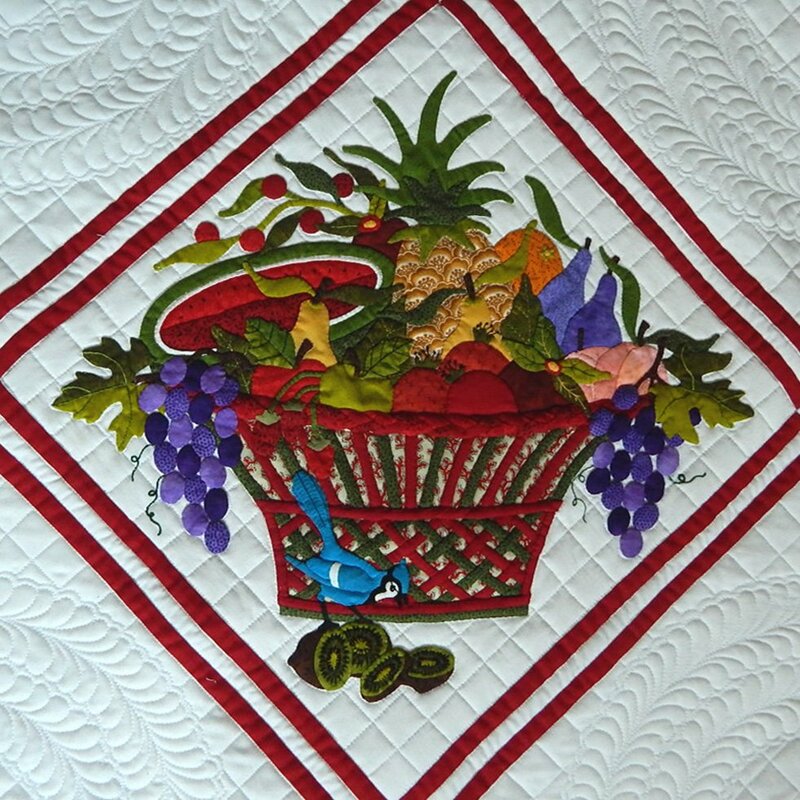 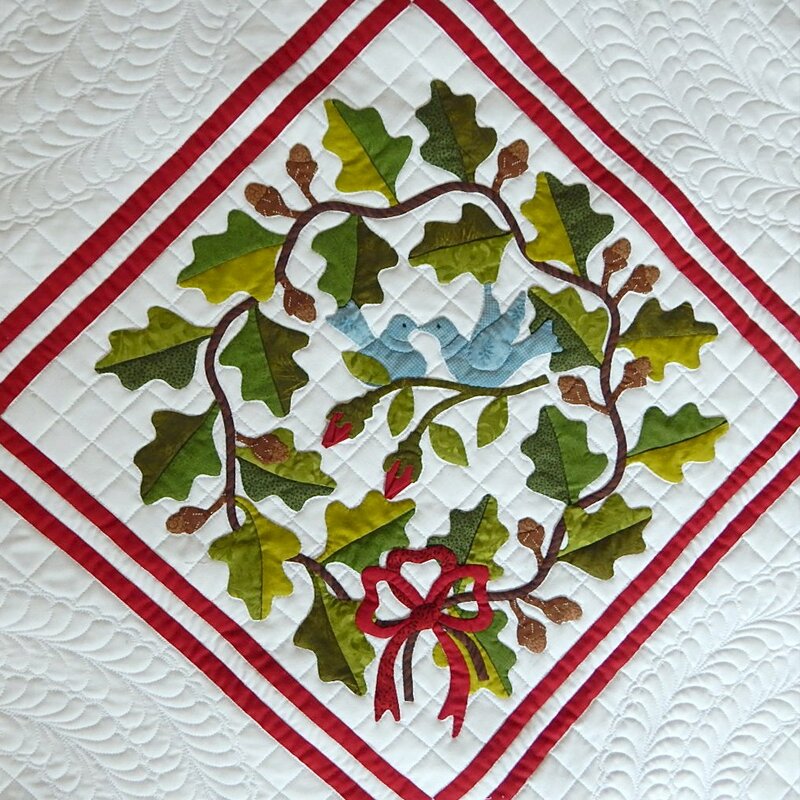 Sue provides excellent instructions with lots of tips, detailed order-of-applique illustrations, and alternatives to simplify the pattern.